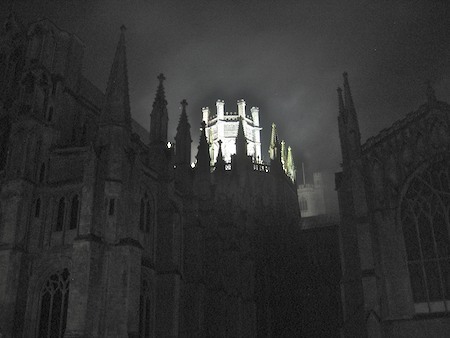 We had dinner in Ely tonight and walked around the cathedral afterwards in a wonderful, autumnal mist. I only had my little pocket camera with me, but got a nice photo or two by doing things like setting the timer and using Hap’s hat as a tripod (which works better when he isn’t wearing it, by the way). A couple of others here.